This touching audiobook is as warm and cozy as the lovable town in which it takes place. 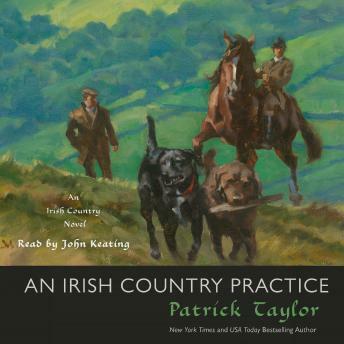 This is a lovely book reminiscent of the James Herriot books (except dealing with doctors, patients and set in Northern Ireland). The similarity is that it is set among country people. It is charming and full of characters - it’s lovely to read about decent people who have integrity and kindness. To be reminded that a small life, living simply and in cooperation with others, is enough. I can’t wait to read the next one and catch up with the news in Ballybucklebo.